Hinesville – Matthew Perryn Ashmore, 21, passed away on Tuesday, December 4, 2018 at Memorial Health in Savannah. Born in Tampa he was raised in the Ft. Lauderdale area and had lived there most of his life before recently moving to Hinesville. While in Tampa he worked at Busch Gardens and Lowe’s and more recently at Lowe’s in Pooler. He was home schooled, graduating in 2015. 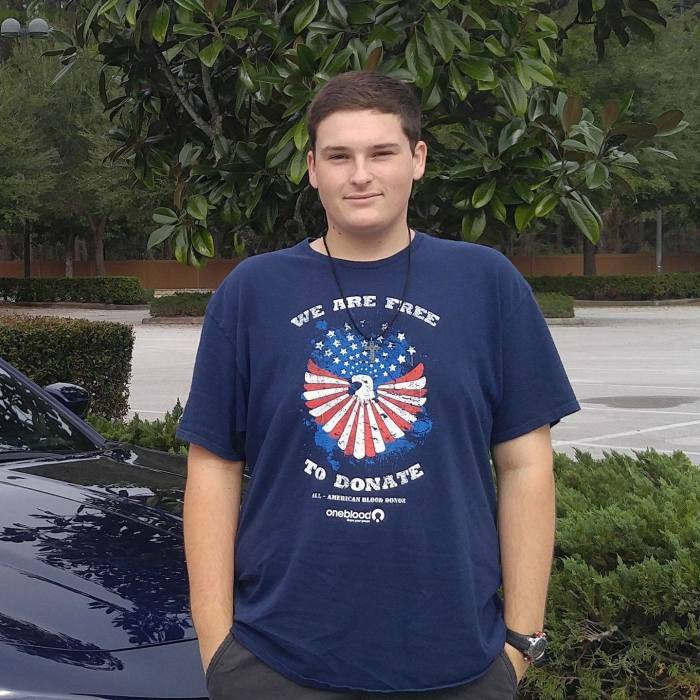 Matthew had a sharing heart, often giving away free tickets to Busch Gardens and making donations to his favorite charities. He was always quick to lend a hand to those in need and was faithful to his God. His favorite place was the beach, and he most enjoyed watching the sunset. Matthew is survived by: his parents John and Tamara Ashmore of Hinesville; sister, Kate Ashmore of Hinesville; maternal grandmother, Shirley Smith of Gum Branch; paternal grandparents, Perryn, Sr. and Trudy Ashmore of San Antonio, FL; maternal great-grandfather, Daniel Barnett and his wife Nadine of Odenville, AL; aunts and uncles, Miriam and Paul Hudson, Perryn, Jr. and Bobbie Ashmore, and Margarete Ashmore. The celebration service of Matthew’s life will be held Sunday, December 16, 2018 at 4 PM at Compass Worship Center Church of God, 212 Cypress St., Ludowici, GA 31316. A reception following the service will be held in the social hall. If you will be joining the family in the social hall, please let them know via email or phone so that they may plan accordingly.